If you are interested in cryptocurrencies and want to start mining alt coins you can do so without breaking the bank. Most all the coverage on mining focuses on high-end desktop discrete graphics cards since they turn the most profit. The only problem is that most all those cards are sold out and happen to be in such high demand that pricing is out of this world. 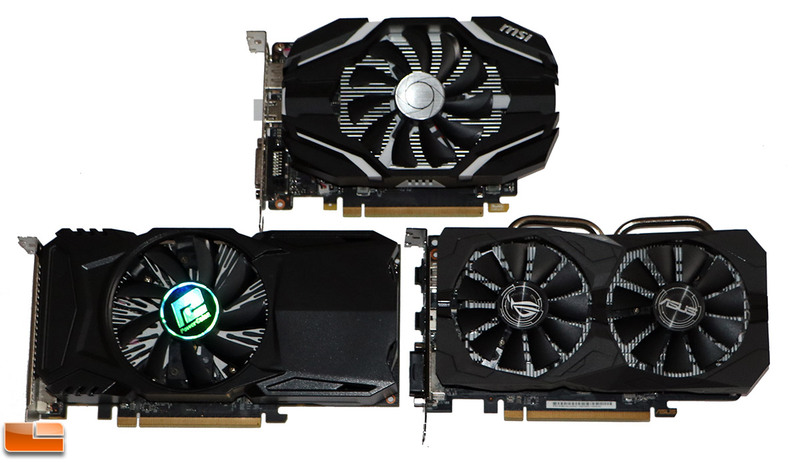 The good news is that you can start mining on lower-end graphics cards fairly easily and without taking out a second mortgage or selling off body parts. Read on to find out how! $30 a month before electric costs....no, just no LOL. $10 per day with a card... would be nice.. Last year around June it was $4-5 per day with the higher-end cards. A $199 Radeon RX 480 would pay for itself in under 2 months. The real money was made by those that held the $200-$300 coins and then sold it off when it went up to $1450 per coin in Jan 2018. So, if you re-do the math you were making well over $10 a day... You just didn't know that at the time. Mining with a GTX 1050 Ti isn't bad to be honest. It's silent and puts out very little heat compared to the big cards. Right now in STL we are in the winter rate period. (8.76 cents for the first 750 kWh and 6.00 cents for anything over that). You likely use 750 kWh a month without mining, so any mining you do is at 6 cents per kWh. That is some of the cheapest power in the World and we are lucky for that. Summer rates (June-September) are 12.58 cents, so now is the time to mine in our area. So, A GeForce GTX 1050 Ti mining ETH at 14 MH/s brings in $1.00 per day. At 75 Watts power draw for the whole system the profit per day would be $0.87. About $27 a month in pure profit. So, 5 months of mining and the profit will cover the MSRP of the card ($139) and everything beyond that is pure profit. Not bad considering how little work there is to do. Once you dial the systems in you can literally let them be for weeks at a time. Toss four of these little cards into an old system a gamer might have and you can make easily over $1,000 a year. If cryptocurrency prices shoot up then you are making much more than that. Put it this way... Back in May/June 2017 you could easily mine a coin every week with a small mining setup. Four a month at $200 a coin and you were making $800 a month. Sweet, but not life changing right? Last month at the all time high you would have made $5,800 that month if you held what you mined and sold then. If you continued to hold right now you'd have $3,400. I'm not sure if this all makes sense as it is 6am, but don't be blinded by low prices now as they might go up. I'm mining some coins at a loss with the hopes they pop. That is the nice thing about mining as you can mine the most profitable coins or any of the other 900. Yep it does make sense man! If I could afford a new system with high end video cards, I would be mining too. Just the extreme cost of making any sort of decent money is out of reach right now and the low end of things doesn't seem worth the wear and tear on the other pieces of my computer. Article on Etherium mining - https://motherboard.vice.com/en_us/arti ... r-worth-it - says it is ending this year...??? What is the next best one to mine right now then for all your readers? And is it profitable now? Yeah, right. It would pay for itself the $199 card cost or the cost of these cards and all others going through the roof (On Amazon the cheapest I found is $440 and the most expensive retarded price is $720 now) because of this [email protected] mining nightmare?! I realy hope and can't wait for this mining craze to crumble and be able to buy a high end card for the fraction of the original price, when all will try to get rid off the than useless cards. Untill than I'm boycotting any site or channel that promotes this bull****. On a second note: the worldwide mass mining is also a huge waste of electricity, contributing to even more pollution. As for the idea that mining would "undermine" the present disquisting world order - that's naive to think that. If mining would be or becomes a threat to the illuminati, they will just outlaw it and shut it down. Simple is that. Those that did Pearl-Harbor, 9/11 and started wars for smaller goals than saving their world power, will not hesitate to kill and erase anything or anyone that threatens them. Did you know that NVIDIA for example sells direct custom build to order cards for big mining farms? They are sold through AIB's and it is so hush hush that I have been told by the analysts that the income is reported by NVIDIA in the 'other' category. That means NVIDIA on one hand is telling the public that they are for the gamers and against price gouging and then behind closed doors are taking huge orders of tens of thousands of cards for the mining farms. There is only so much fab time and wafers, so that GPU supply is what is really hurting the average joe gamer. An example of those custom cards would be a GeForce card with the GP104 GPU and 4G of GDDR5X memory. This card is unlike anything available to gamers and was custom designed for mining farms and is sold by EVGA, ASUS, Gigabyte and all the big gaming card brands you know and love. They come with a 90-day warranty and are tough to get. They actually have restrictions on talking about them, importing them into certain countries and more. Why haven't you heard about them? Because reviewers can't get them. I've been trying for several months without luck. I can find some on the black market, but don't want to risk ordering in a paper weight from China or Iceland and being out money from some dark web site. I'm trying to inform the gaming community there is money to be made as they already have the GPU to mine on. Why miss out on something that can make you hundreds or thousands of dollars over the course of time? The gaming community shouldn't let these big mining whales get all the cards, but at the end of the day the GPU is highly programmable and nothing says they are for gamers only. That is why I am shocked there are a number of custom mining cards flying under the radar and no one calls AMD/NVIDIA out on it. And as for mining profit... A Radeon RX 480 could be had for $200 back in early 2017 before the Summer mining rush. That card at 27 MH/s over the course of 12 months was capable of mining 6 Ether. If you held that until this very second it would be worth $5,200 before electric or if you sold at the Jan 2018 highs it would have put $8,700 in the bank before electric expenses. That is a good size chunk of money and why I started writing these articles nearly 10 months ago. That card today would mine less than 0.75 Ether a year or about $650 a year in profit at current rates. Who knows what Ether will be worth in a year from now or even beyond that. Not many mining in early 2017 would have guessed Ether would have been worth $1450 in 2018. Do you mine for what it is priced at now or what you think it may be worth in the future? Some predicition sites are showing $3,000 in the next 5 years and others are showing more than that. None are really showing a drop. So, that $199 video card that mine all of 2017 could have mined 6 x $3,000 = $18,000 if these prediction sites are worth anything. (300 Watts x $0.10 kWh for 24/7 use would be $260 in electric costs). As for electric... Damn right mining is wasting a ton of power, but I was watching CNBC the other day and they were saying if cryptocurrency mining stopped that the sector would have major issues. My local power company stock is doing pretty damn good in recent years. Showing that you can make money off the companies that are making money off these crypto boom. Chip makers, power companies and component makers are all booming now. The good news is that Ethereum for example will switch to PoS instead of PoW down the road and that will use less electric. The issue there is when that change happens it will slowly switch over many months if not over a year. As for the other 900 coins that you can mine... who knows. My point in all this is that this may be a bubble, but there is money to be made on it. You can boycott sites, but at the end of the day I'm just trying to help people make money and better their lives. That is the whole point of LR and why I started it 15 years ago. Cut through the BS, get the truth and save money. Now there is a chance for people to make real money and to me that is really exciting.